After many years on the pulpit, rabbis often will publish books of their sermons. 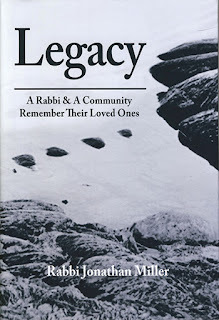 Rabbi Jonathan Miller, who has led Birmingham’s Temple Emanu-El since 1991, took a different approach with “Legacy: A Rabbi an A Community Remember Their Loved Ones,” a collection of over 60 eulogies he has delivered in the past 26 years. It is also a glimpse into a slice of Jewish life in a particular era of a small Southern Jewish community. He introduced the book in his Yom Kippur sermon. Through a gift by Jerry Epstein in memory of his wife, Lillian, each congregant received a copy. Additional copies can be purchased from Temple Emanu-El, with proceeds benefiting the congregation. That is reflected in his approach to eulogies. He stated that in Los Angeles, where he was before coming to Birmingham, “more often than not I did not know the person I was burying” because of the large, spread-out community with a low affiliation rate. Writing a eulogy was a matter of getting enough information from relatives and plugging it into a template. In Birmingham, it isn’t about writing a eulogy, it is more like composing it as an artist. Being in a small community for a long time, “the people I bury are my friends,” and rarely is he comforting strangers. Also, when he started his rabbinate, he still had three of four grandparents. They, and his parents, are gone now, so he knows what it is to sit on the other side of the couch, to be seated graveside. The book is divided into thematic sections. One delves into community history, people who remember the days of Rabbi Mayer Newfield, who died in 1940 and lived through the days of segregation and the Klan. This section includes such figures as Dorah Sterne, Emil Hess, George Mitnick, Abe Kaplan, Marvin Engel. It also includes Cantor Brian Miller, who was at Emanu-El in the mid-1990s. Weeks after Cantor Miller left Birmingham and started at a new pulpit in New York, he died suddenly. Many of the eulogies are introduced with bits of historical context or background. Some, though, happened after tragedies and are “unbearable,” from the newborn who never made it out of the NICU, the sudden heart attack for someone far too young, the tragic accident, the overdose. Miller also includes a section of eulogies where he plays both roles — speaking and mourning for his own loved ones. His mother died last December, so writing the book became a kind of therapy and way to reflect. He did not speak at her funeral, but concludes the collection with a remembrance he delivered to his congregation a month later. 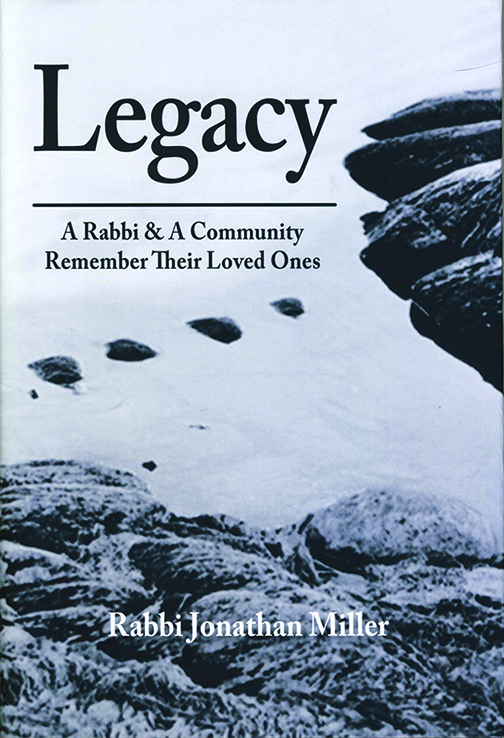 The book is available at Temple Emanu-El or can be ordered for $25 and $5 shipping here.